Atlantic Shortfin Mako Shark — Choose Local F.I.S.H. Year-round, with peaks from April through October. Slightly sweet, with a full-bodied, meaty flavor. Raw meat is soft, and cooked meat is firm. U.S. wild-caught from New England to Louisiana. 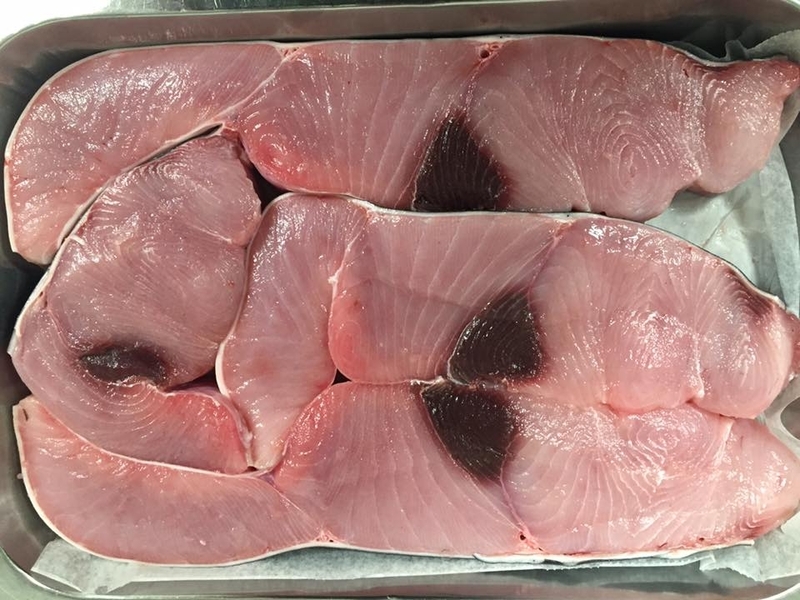 Mako is high in protein, low in fat, and a good source of niacin, vitamins B6 and B12, phosphorus, and selenium.